The stretching, undulating and translucent porcelain used in this body of functional work is evocative of much of what I love about the natural world – for instance, the petals of a flower or the veils of rain of a passing storm. The faceting process allows me to create an almost explosive sense of breath in the pieces – much like a ripe berry about to burst with juice. 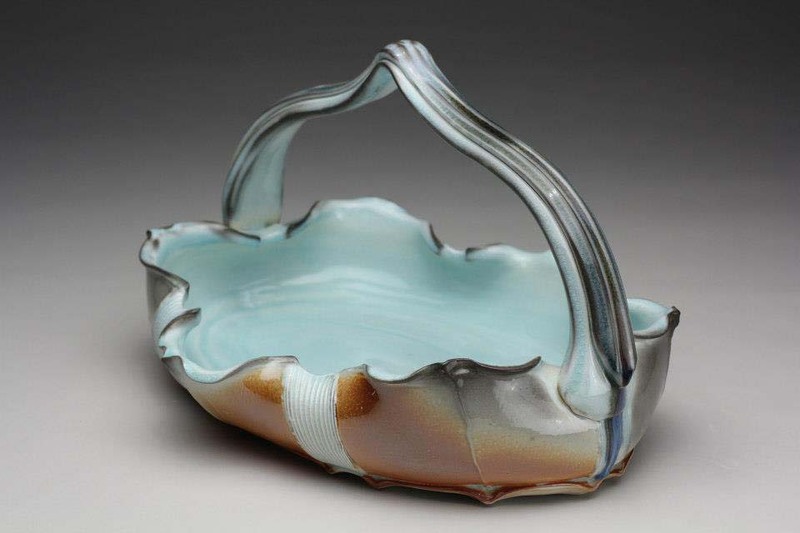 The gently curving lines of lip, foot, and facet edge perfectly catch and trap the carbon and flying soda ash of the heavily reduced atmosphere I create in my kiln. 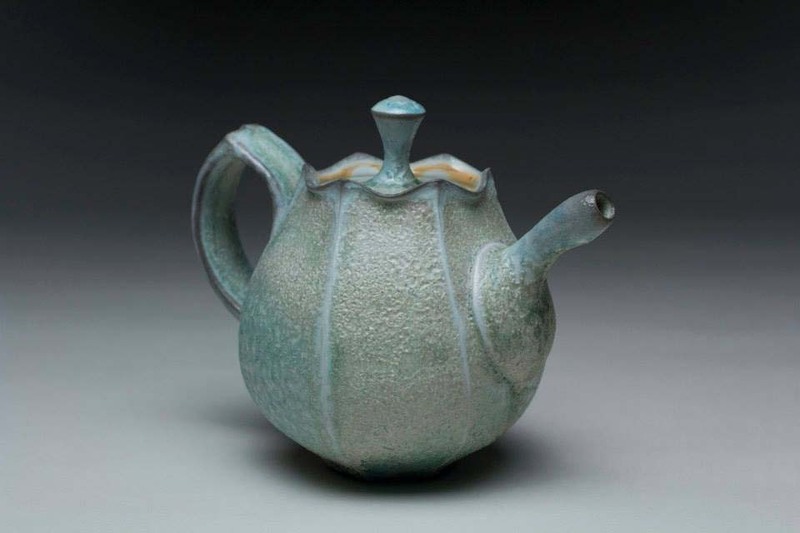 I greatly enjoy the interplay between rough surfaces of bare clay or thin layers of flashing slip, the wet and luscious surface of a glossy, runny glaze, and the delicate tracery of oxides and slips beneath a glaze set in motion by the kiln. Through the unpredictable process of soda firing, fleeting flashes of brightness and color, so illusory and hard to pin down in the natural world, can be captured upon the surface of these pots for people to enjoy for years in their everyday lives.